Mutual Funds are an easy way to invest your money and let professional fund managers handle the hard part of choosing the right place to put your money in. But there are numerous confusions and misconceptions around mutual funds that I want to clear in this article. Fact: Mutual Funds are not only about investing in stocks or the equity market. There are different types of funds which are classified based on the underlying asset classes they invest in. Liquid Funds – invest in very short term (< 91 days) instruments like treasury bills. Gold Funds – they invest in gold and track the price of gold. International Funds – they invest in stocks of international companies and track foreign stock indices like Nasdaq. People who want to invest in any kind of assets can invest using Mutual Funds and get the help of professional fund managers to handle their money. Fact: A fund’s NAV doesn’t matter because it represents the market value of all the fund’s investments and doesn’t depict the market price. To understand it better: Lets say Fund A and B invests in the same portfolio of stocks. Only difference between then is the NAV of fund A is Rs.10 and fund B is Rs.100. After a year the stocks increase in value by 10%. 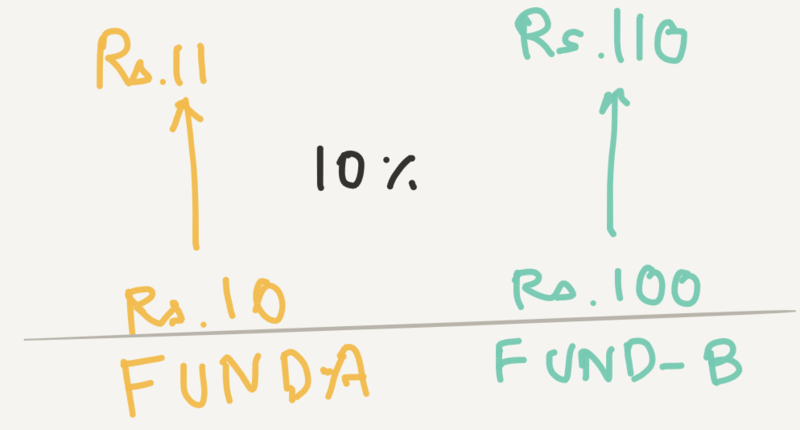 So the NAV of fund A will be Rs.11 and of fund B will be Rs.110. So your money grows by 10% and it doesn’t depend whether you invest in fund A or B. Fact: There are mutual funds which are suitable for short term investments too. They are funds which invest in bonds or even treasury bills which are protected for returns for a short duration. If you are in the highest tax bracket parking your excess money in Liquid funds or ultra short term funds are better and tax efficient than fixed deposits. Fact: No. You can invest in mutual funds even if you have just Rs.1000. And you can start an SIP even with Rs.500/month. Compared to investing in real estate or Gold, this is one of the best investments which doesn’t require lot of money. Fact: Only ELSS (Equity Linked Savings Scheme) funds enjoy tax benefits under section 80C. And they too have a limit of Rs.1.5 lakhs per year. Remember any investment made in ELSS are locked in for 3 years. Fact: Investing in lot of funds doesn’t help. Remember a fund just a collection of different stocks that a fund manager chose to invest in. Most of the funds would have a lot of overlap in the stocks. Also over diversification also hurts your returns. 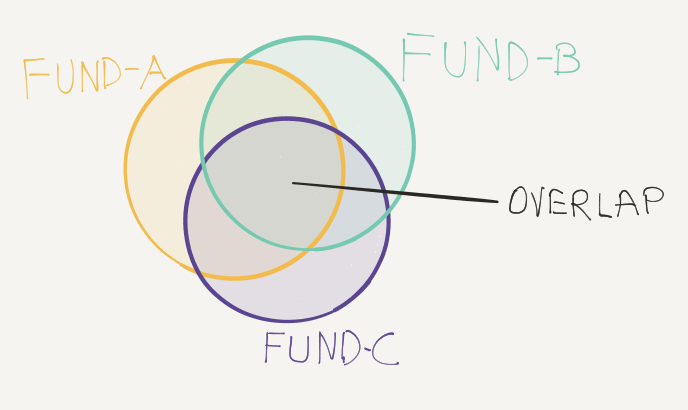 It is better to invest in only 1 good fund under each fund type. I personally am invested in 1 ELSS, 1 Large Cap, 1 Mid Cap and 1 Small Cap fund. There is no use in investing in 3 or 4 funds under each category. I hope this has cleared some common myths surrounding mutual funds. Now the only problem is how to choose the right fund and how to invest in it the right way. Will cover it in future articles.